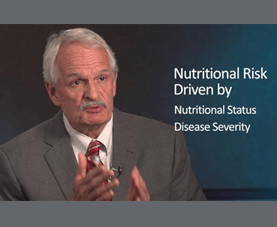 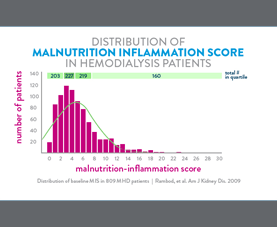 Can We Use Blood Biomarkers to Identify Patients Who Benefit from Nutrition Support? 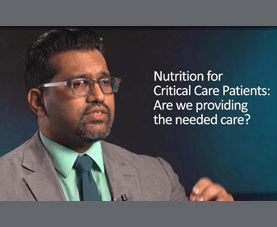 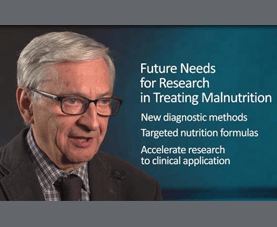 There is uncertainty regarding which patients will benefit from intensive nutrition therapy, especially in the polymorbid inpatient population. 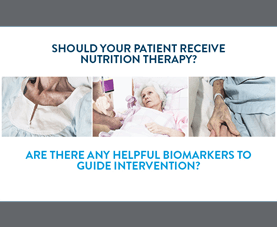 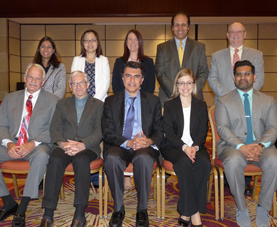 Blood biomarkers could be a helpful assessment tool. 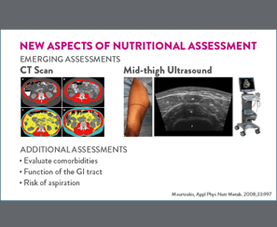 We performed a sub-analysis of a prospective observational study, which included consecutive medical inpatients hospitalized through the emergency department of a Swiss tertiary care hospital. 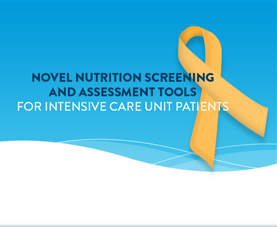 All patients assessed by the NRS 2002 within 48 hours and with available laboratory values were included in this study. 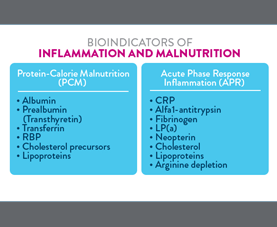 Acute malnutrition was associated with a pronounced inflammatory response and alteration in biomarkers. 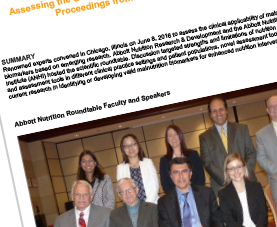 A large intervention study in progress will identify candidate biomarkers that associate with positive response to nutrition therapy.